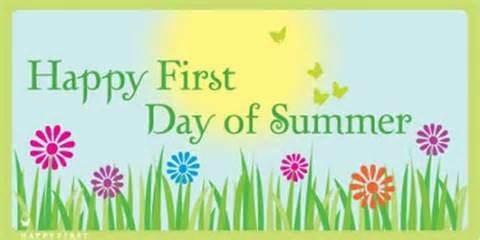 Stretching the One Income Dollar: Happy First Day of Summer! 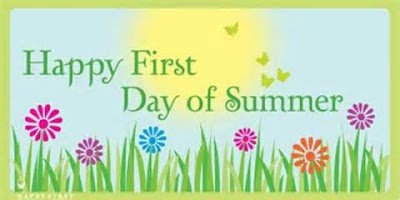 Well, it's not too summery looking outside my window today- but today is June 21st- the First Day of Summer. Will be getting my housework all done up, today and Saturday and getting ready for our trip to Vancouver Sunday. I keep a day by day itinerary when we travel as well, so will need to get that together. In it I write all flight times, where we are staying and things we will have to see and do, day by day. It's so much easier to travel like that than have a pile of papers and work blindly through it all. Does anyone else do this when they travel? Gerry was also happy that today was Friday-but not sure if he is taking the afternoon off work or not. With having the whole week off ahead of him, it will depend if he can get all his work done this morning or not.